One industry that continues to grow with every year that passes is fashion. To put it into perspective, the global apparel market is valued at 3 trillion USD and accounts for 2% of the world’s Gross Domestic Product (GDP). This high demand sparked an interest for two sisters who have been dabbling in the model scene for years to venture out and explore the different aspects of what can be reaped from the fashion scene. After Sim Li and Sim Hui went on an overseas business trip to attend a huge expo where they were exposed to various manufacturers coming out with luxurious items such as shoes, handbags, accessories, food, technology, and so forth, they realised the huge pie of opportunity that they could cut a slice from. It was coincidental that at that point in time, they were determined to find business opportunities that both of them could relate to and were passionate about. So they decided that fashion could be that common interest, despite their differences in career background during that stage. So that was how LIVLOLA’s story began. LIVLOLA is an online e-commerce platform that carries imported handbags and accessories specifically curated for women everywhere according to what style and theme they seek for. Since its launch back in July, the main goal with their site is to help empower women through the means of their apparel. “We know that our brand name should convey a strong message that represents women empowerment and embracing yourself. We thought LIVLOLA fits the message as ‘Liv’ equates to life and ‘Lola’ alludes a strong woman, a woman who you can’t resist,” said Sim Li, one of the founders of LIVLOLA. The sisters chose handbags as their key product because they trust that handbags are an essential fashion item that a woman should have. Being an essential for women to carry on an everyday basis, it is also a reflection of a female’s style. They have also found that females usually take a longer time browsing the net or at shopping malls to get a bag that they like or that fits a particular occasion. So their website categorises the handbags they offer according to a particular style of “The Executive” which is more for the lady boss in you compared to the more casual chic style of “Casual Weekender”. 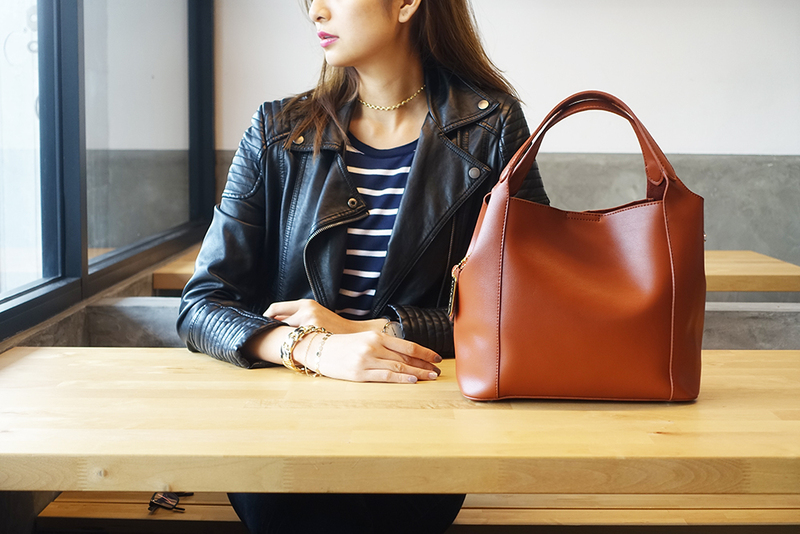 “We made sure our LIVLOLA platform is a site that makes it easier for females to shop for handbags for any occasion by guiding them straight to the occasion they seek and make the bags available for them,” said Sim Li. Before they ventured into the entrepreneur world, the sisters were actually balancing two different careers which were being models for various brands as well as corporate workers for their full-time career. The elder sister, Sim Li was a brand marketer for a few top FMCG companies for more than 4 years while her younger sibling Sim Hui was in corporate banking for about 2 years. While their careers were from different fields, they realised that the distinct knowledge they gained from their corporate background has helped to strengthen the business operations and thought process of LIVLOLA. Coming from a modelling background has done little to impact their careers as entrepreneur. So far since the launch of their business, they have not faced any stigma and found that their background as models actually eased them into the entrepreneur lifestyle. “In fact, it adds value to the business, given that LIVLOLA is a fashion brand. Being in the modelling industry, we get to meet many professionals people behind the scenes such as fashion designers, celebrities, influencers, photographers, business clients, business investors etc, which have helped us understand more about the fashion industry and the creative process behind it,” said Sim Li. Their experience as models have also allowed them to hone certain skills such as styling, photography and fashion which is a huge bonus for their business overall. When asked if there was a proper difference between the life of a model compared to an entrepreneur, Sim Li cites that there are similarities as well as differences. She states that in the modelling scene, it usually all comes down to how you strive on your own. From handling your own time management to making sure the energy used during work while maintaining the proper attitude all depends on how the models carry their own weight. “The startup or business scene is more collective where it usually involves more than one person in a team. It requires a lot more knowledge in terms of operations, business developments, skill sets (digital marketing, etc.) and planning for it to be fully functional compared to being a model,” shared Sim Li. However, she does say that there is not much difference within the industry itself because both industries require them to work hard to achieve what they have set for themselves. Both industries play on the hustle and bustle of the scene which generally requires them to become more active and reach out to the right people to get themselves known. “Being an entrepreneur is definitely a challenging experience. In fact, it is a lifestyle at which every second in your life counts given that the digital market is fast-paced and ever-evolving. We are bootstrapping, hence the learning curve is steep and we have to be hands on and flexible at all times. We have to learn everything from taking our own product and campaign shots, making intriguing and relevant videos and contents, building our own websites, marketing our products in the digital platform, customer service etc. It is not easy becoming an entrepreneur and like modelling, you have to constantly thrive forward even if your hard work doesn’t pay off,” said Sim Li. There lies a stigma that having familial relations when starting a business could prove to be an obstacle. Sim Li agrees with this, citing that any business involving family members has its pros and cons. “Before we’re sisters, we’re founders of a business. Both of us have our own differences which complements each other, and similarities that ease decision making. Of course, there are times when we have conflicting thoughts but we always iron things out quickly and make concrete decisions that will help the company to grow. Because our ultimate priority is to ensure that the company expands successfully,” said Sim Li. When asked what they hope for the future of LIVLOLA, Sim Li shares that she wishes to grow the presence of LIVLOLA in the local and international markets given that the e-commerce platform provides an easily accessible avenue for consumers. 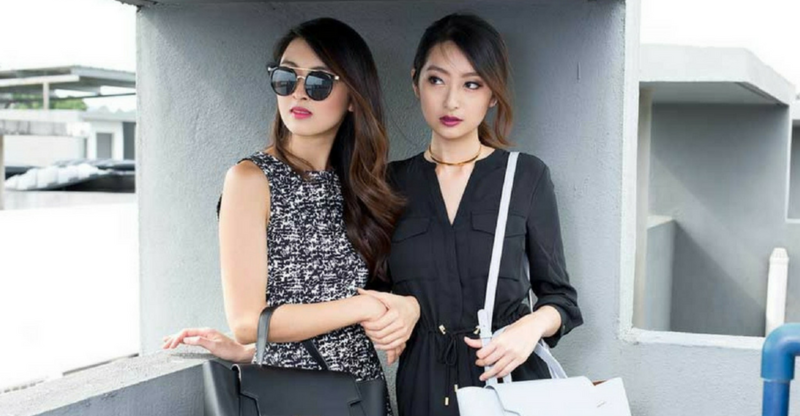 “We aim to be one of the top fashion handbag brand and to incorporate technology and fashion into our handbag collection,” said Sim Li.